Boos do not faze Sundowns’ Vilakazi! IT takes a strong mind to withstand booing from supporters. But mental strength is exactly what Mamelodi Sundowns attacker Sibusiso Vilakazi has. 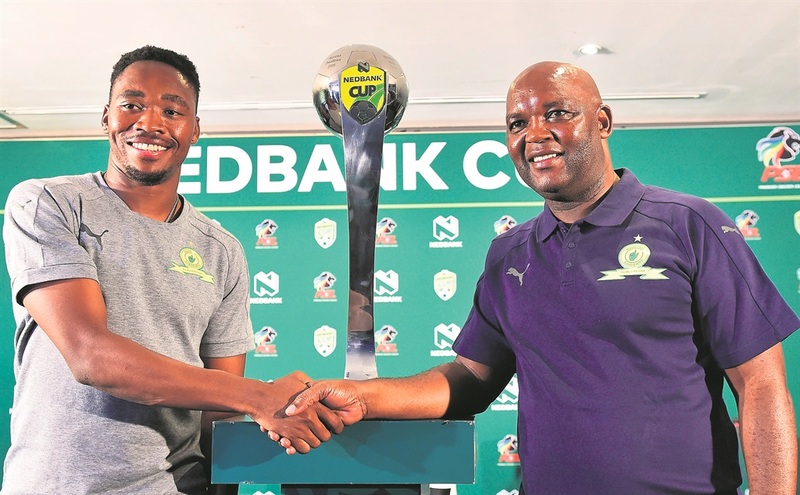 Vilakazi says he is not bothered and won’t be affected by any boos when he lines up for Sundowns against Maritzburg United in the Nedbank Cup semifinals at Harry Gwala Stadium on Sunday (3pm). The Bafana Bafana midfielder attracted some criticism as fans called for his substitution when he missed several golden chances in their midweek league encounter with Golden Arrows. Vilakazi is unfazed but takes this in a positive way because “they help you to deliver”. He said: “It (booing) takes you to a different level. It changes your attitude. “I like a challenge. If you boo me, it means I have to do much better. It’s a second voice in my ear, the first is my own voice. But he also admits that he can’t always score a gluttony of goals all the time. Vilakazi has been a key cog in the Sundowns machine, playing in over 20 games this season. He is still chasing his first domestic title with the Brazilians and he believes the amazing support of the fans will be vital against the tricky Team of Choice away. He continued: “It’s a huge task we are facing, a tough hurdle. Results don’t lie. But we have to get over that hurdle to get to that final.